9x12, xxvi + 122 pp. These twelve arias illustrate the voice of Francesco Benucci (ca. 1745-1824), the great comic singer for whom Mozart wrote the roles of Figaro and Guglielmo. Dating from the 1780s when Benucci was in his prime, they represent some of the best efforts by Cimarosa, Martín y Soler, Paisiello, Salieri, Sarti, and Storace to showcase his singing. 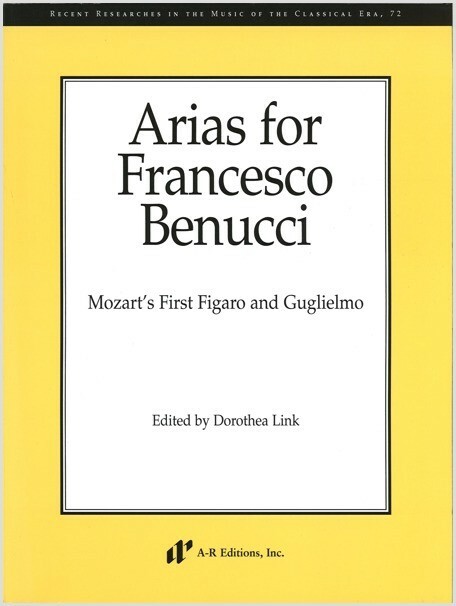 That Benucci was a first-rate basso buffo is attested to in nine of the twelve arias. The remaining three show that, when required, Benucci could also give memorable performances in a more serious style.